Hawker Aircraft Limited was a British aircraft manufacturer responsible for some of the most famous products in British aviation history. Hawker had its roots in the aftermath of the First World War which resulted in the bankruptcy of the Sopwith Aviation Company. Sopwith test pilot Harry Hawker and three others, including Thomas Sopwith, bought the assets of Sopwith and formed H.G. Hawker Engineering in 1920. In 1933 the company was renamed Hawker Aircraft Limited and took advantage of the Great Depression and a strong financial position to purchase the Gloster Aircraft Company in 1934. The next year it merged with the engine and automotive company Armstrong Siddeley and its subsidiary, Armstrong Whitworth Aircraft, to form Hawker Siddeley Aircraft. This group also encompassed A. V. Roe and Company; Avro. Hawker Aircraft continued to produce designs under its own name as a part of the Hawker Siddeley Aircraft, from 1955 division of Hawker Siddeley Group. The "Hawker" brand name was dropped, along with those of the sister companies, in 1963. 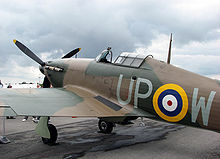 The Hawker P.1127 was the last aircraft branded as "Hawker". The Hawker legacy was maintained by the American company Raytheon who produced business jets (including some derived from the BAe 125, whose original design dated back to de Havilland days) under the "Hawker" name. This was the result of purchasing British Aerospace's product line in 1993. The name is currently used by Hawker Beechcraft after Raytheon's business jet interests (Hawker and Beechcraft) were acquired by investors and merged together. In the interwar years, Hawker produced a successful line of bombers and fighters for the Royal Air Force, the product of Sydney Camm (later Sir Sydney) and his team. These included the Hawker Hind and the Hawker Hart, which became the most produced UK aeroplane in the years before the Second World War. Mason, Francis K. Hawker Aircraft since 1920. London: Putnam & Company, 3rd revised edition 1991. ISBN 0-85177-839-9. Hawker Aircraft Pictures and Hawker Aircraft for Sale.